Zebra WT6000/RS6000 4-SLOT BATTERY CHARGER by ZEBRA ENTERPRISE at Blog Free Here. MPN: SAC-NWTRS-4SCH-01. Hurry! Limited time offer. Offer valid only while supplies last. 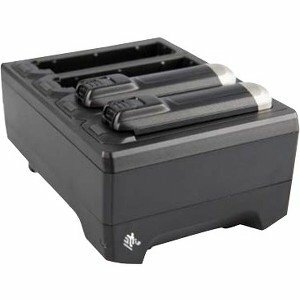 ZEBRA EVM, WT6000/RS6000 4-SLOT BATTERY CHARGER, CHARGES FOUR SPARE BATTERIES AND PROVIDES STATE OF CHARGE AND STATE OF HEALTH BATTERY STATUS.